Updated Tuesday September 4, 2018 by St. Timothy School CYO Basketball. Please fill out the below CYO forms & submit them to your child's coach. These are required by the CYO & must be filled out and signed prior to you child's participation. 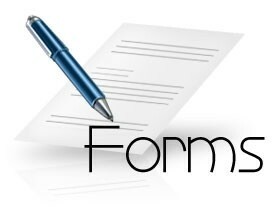 The two forms you are required to fill out and submit to your coach are: The Code of Conduct Form & the Participant Agreement and Release Form. Both are downloadable below. The CYO Roster is to be filled out by the team coach. the below CYO forms and submit them to your child's coach. These are required by the CYO and must be filled out and signed prior to you child's participation. Please turn them in to your coach no later than November 5th. Order forms and Fairfax County Public School Facility Use Permits are also available here. Uniform Sizing Chart is located here. Parent Information Document (details about STS basketball league) is attached here as well.